HELP US BUILD A BETTER MODEL OF CARE! Ebenezer Glenn Orphanage has been serving the people of Dessalines and the surrounding communities in Haiti since Don & Doris Peavey founded it in 1970. 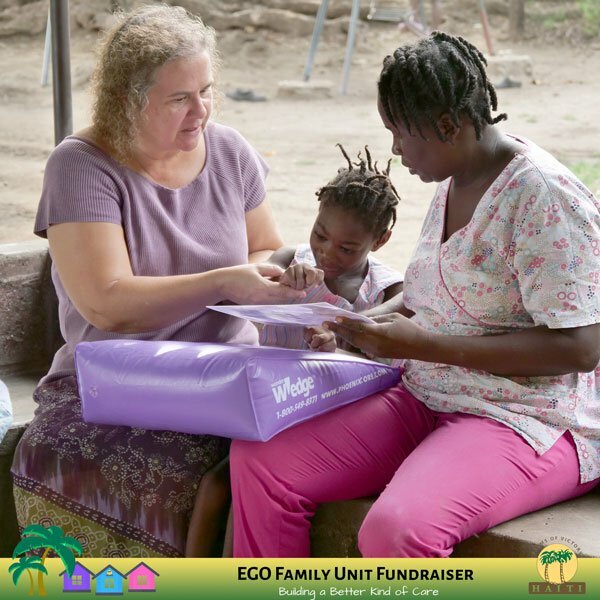 EGO is focused on sharing the gospel of Christ through both word and deed in ways that are applicable to the needs of the Haitian people. One of those ways is through orphan care. 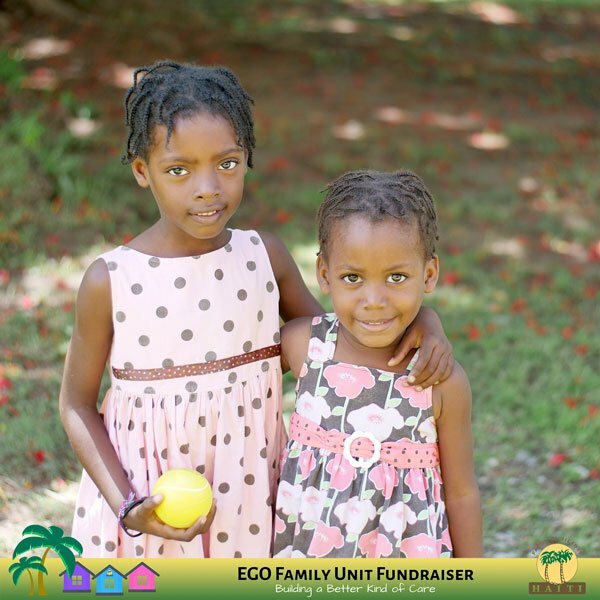 These infants and children are placed with EGO through Haitian Social Services because of deceased family members, parental abuse, neglect, and special medical needs. 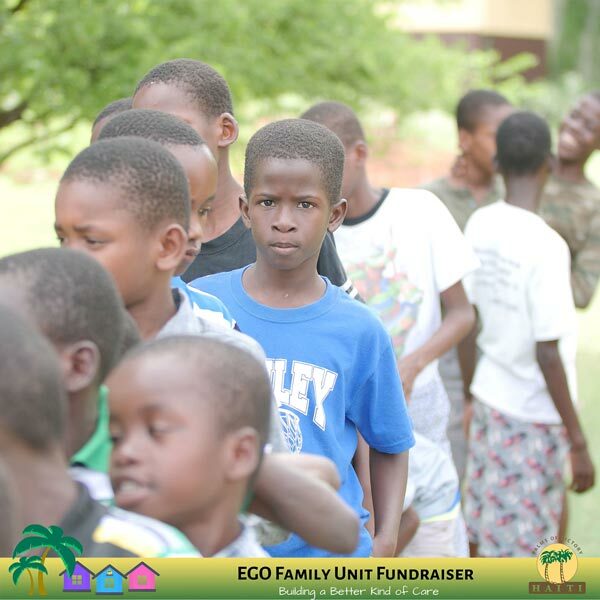 Throughout the years the number of children that have called EGO home has fluctuated. To meet their housing needs buildings were built, added on to, remodeled, and repaired. In every situation God provided the resources and the team on the ground found a way to make it work for the kids. Once the Family Units are complete we will be able to move the kids out of the institutional setting and into the new family care model. In a family setting the kids will not have to try to stand out. They won’t have to fight to feel noticed, or to feel unique. In the new family unit model of care they will be able to build better and life long lasting bonds with their foster family. They will learn how to get along with, support, respect and build relationships with their siblings and parents that they would not be able to otherwise. This will help them in all future scenarios in life, from having a family of their own, to their social community, to interactions in the workplace. All around we know without a doubt that the new family unit model of care is a healthier environment to raise these kids. We want to give the best care we can to the children God has entrusted to us. We want them to know that they are uniquely created by Him in His image. One of the reasons we are so excited to build the new family units is that the kids will be able to get more unique care to meet their specific individual needs. The group family “parents” will be specifically trained to be foster mothers. 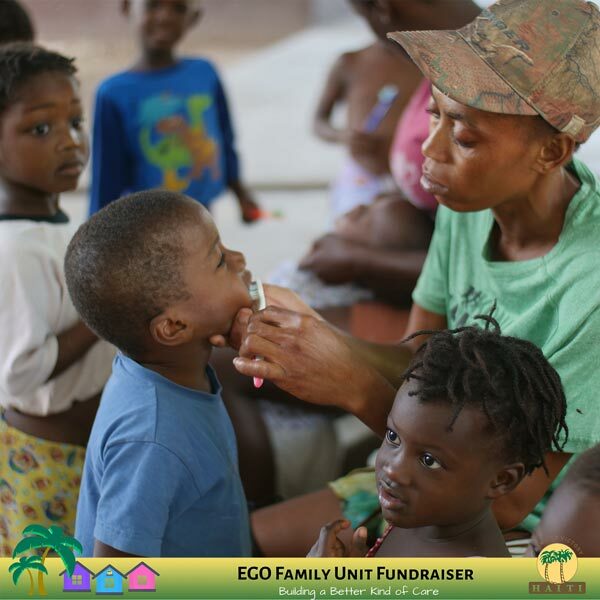 They will receive ongoing training and resources directly related to the kids’ needs in their own family unit rather than being collectively trained on how to take care of kids in general. This is especially important for our kids who have special medical needs and the kids with learning disabilities. Having foster moms with "their own" kids they will feel more of an attachment and a personal responsibility and this will be reflected in more positive emotional and physical support of the children in their family unit. The new EGO Family Units are designed specifically for a family of 7-8. The houses have an open area that will have a kitchenette with sink, stove, and cupboards, a large family table with chairs so they can bond over shared meals together, and a sitting area. They will also have a bathroom, a small bedroom for the foster parents, and a larger bedroom that will fit bunk beds for the kids. All of the furniture and cupboards will be built by Ken and the EGO boys (young men) on site in the woodshop. The houses will be powered by the solar system already in place at EGO, and the units will have running water supplied by our current wells! 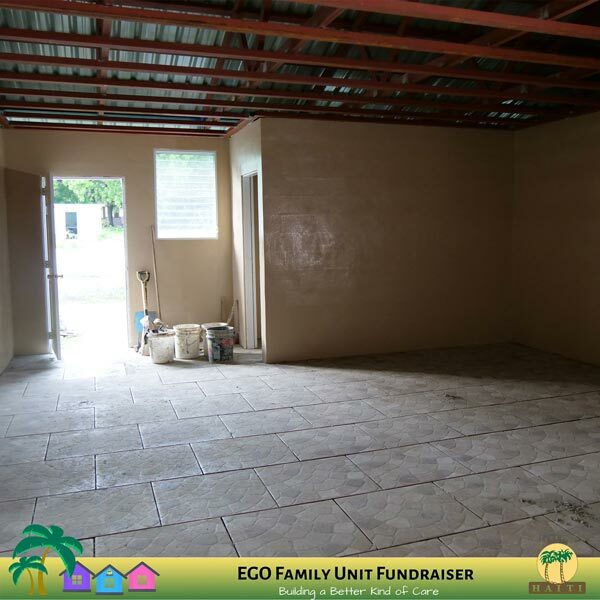 We are so excited for the kids to move into their family units and we are very thankful that once the units are completed they will run sustainably with the resources we already have. Not only do want to move to this new model of care, but Haitian Social Services is requiring all orphanages to transition to the foster system within the next three years or face closure. One of the direct benefits of raising our kids in foster family units is that they will be better able to learn the life skills they will need in the future. Having a foster mom and older siblings to imitate and help with tasks will allow the kids from a very early age to learn skills such as cooking, cleaning, taking care of their home, and maintaining and fixing things properly to make them last. 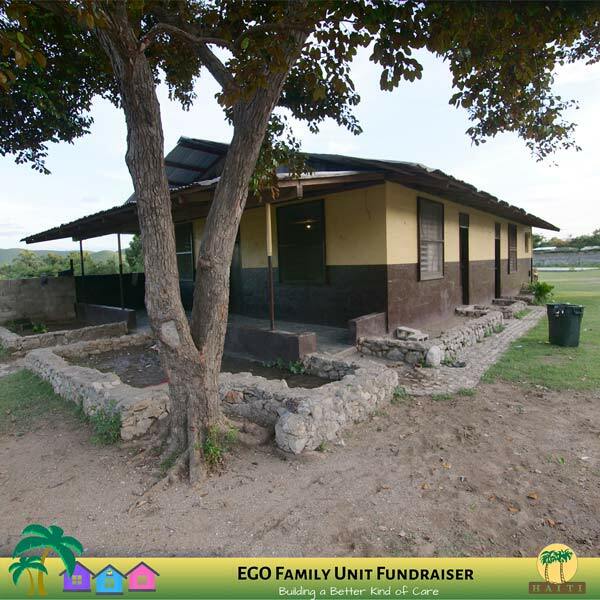 One of the reasons we are building the new family units is because the older dormitories are quite worn out and have become time-consuming and expensive to maintain. We explored the option to remodel them yet again but considering the age of the buildings and the layout of the floor plan they would have to have walls and roofs torn down and basically be rebuilt from the ground up. It would be quite difficult to do this considering that the existing dormitories are built close to the exterior compound wall and near the dining hall leaving very little room to expand. So instead we are building family units designed specifically to modestly meet the needs of a family of 7-8. But this isn’t the end for the old dormitories… stay tuned to find out what exciting new purpose they will serve. Another reason that we’ve decided to build the new family units and change our model of care is that in a family group setting the kids will be better able to learn by what a family truly is. 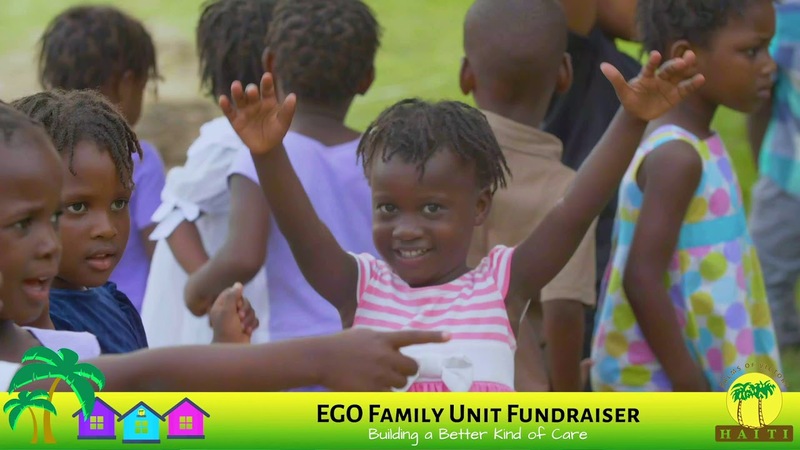 In Psalm 68:6 we know that “God places the lonely in families;” and though EGO is a family now we know that the orphanage model is not the family God originally intended. To be able to raise the kids in family groups in induvial home units will help them understand the things that make a family a family by experience and by example. It will help them have a deeper sense of belonging, and a stronger bond with their siblings and foster parents. Growing up in a family unit will also help them be better prepared to have and raise a family of their own someday.